Our friend Dave was in critical condition when I had my first heart-to-heart conversation with my new friend, Catherine. She listened well, offered hope—woven with empathetic words, and committed to pray for my wounded friend…whom she’d never met. It meant a great deal. 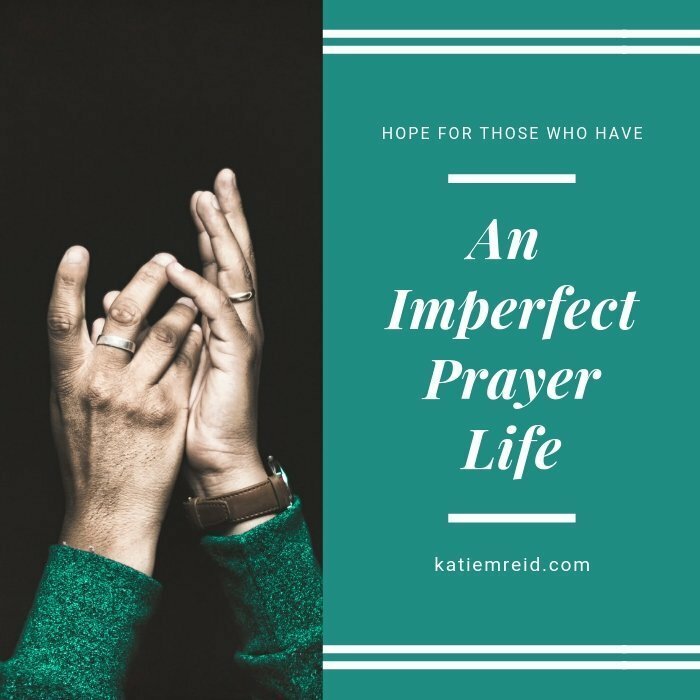 With Cat’s reassurance, I realized that I did have something to offer…the example of an imperfect prayer life, and how God can meet us in our place of need. As a modern-day Martha, prayer does not often come naturally, as I bustle around, getting things done. But God reminds me that prayer actually accomplishes more than my to-do list can. That’s both challenging and hopeful to a doer like me. If prayer is a struggle for you, pull up a chair — you’re in good company. Disclosure: Affiliate links are used in this post. If you choose to purchase through the links, I may be compensated at no additional cost to you. See full disclosure policy. Imagine waking up after a restful night’s sleep. No one else is awake yet, so you take advantage of the quiet to enjoy a cup of coffee (or hot tea if you’re like me) in your favorite spot, curled up, soaking in some QT with Jesus. Bible open with your colored pencils and that super cute llama journal you snagged from the $1 aisle at Target, your heart fills with peace and the goodness of God’s Word. Then a bit later, with an empty teacup and a full spirit, you’re ready to tackle your perfectly planned day. Sounds pretty wonderful, right? I so wish this was how each and every day began, but the reality looks quite different, doesn’t it? First, and perhaps most importantly, I’m not a morning person. Since God crafted every part of me, I figure this isn’t a surprise to Him. Maybe it even makes Him smile when I start our conversations in the shower…pausing with a, “Hold that thought, Lord,” as I hear my kids fighting over breakfast and the dog barking to be let out. As it often does, life happens. Very seldom does my day actually play out like it should on my beautifully color-coded calendar. So many days are full of wondrous chaos that I’m sure to miss when my calendar is less colorful, my home is spotless, and my children are grown. God has gifted me this beautifully imperfect life, and it is a gift. So why is it so tough to carve out that dedicated quiet time with God? Here’s the deal, friends. Our Martha-like tendencies and rhythm-of-rush-paced lives are not enough to keep us from a relationship with God. I believe prayer is simply an open, honest conversation. Prayer is relational. So if we go long periods of time between when we talk with God, we might feel tripped up by what to say and where to begin. Be encouraged. The Martha in me once thought prayer required the perfect quiet place, the perfect words to offer, and the perfect trust that God will hear and answer my prayers (and just maybe in the timeframe I kindly suggest). I cried out to the Holy Spirit, striving to live into this perfect plan of what I thought a healthy prayer life should be. These efforts left me feeling helpless when my day fell apart because of a sick kid, a traveling husband, a flat tire, or any other infinite number of distractions. A very wise mentor shared with me a tidbit about prayer during my days as young, sleep-deprived mama that I’ve never forgotten. She told me in those seasons—where quiet space is at a premium, words are at a loss, and God remains silent—to find opportunities to pray and worship in the crazy rhythm-of-rush season where I am. 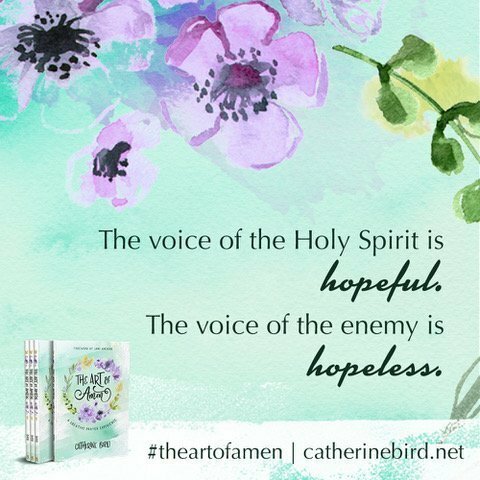 She encouraged me to listen more closely for the Holy Spirit, because His voice is hopeful not hopeless. I learned to listen to my baby’s laugh and give thanks to God for entrusting me with such a precious, sleepless little thing. I delighted in the warm embrace of my husband at the end of a long day, giving thanks that he didn’t seem to mind when my hair wasn’t brushed and my pants were inside out and backwards (yes, this really happened and, sadly, more than once). So now I talk with God throughout my busy and sometimes unpredictable days. On a good day, this happens on my patio with my Bible and colored pencils. On a normal day, however, this happens in the shower, in the car, on a walk, during yoga class, waiting in the drive-thru at Chick-Fil-A. My prayers are not perfect, but they’re genuine. This is all God asks of us. He longs for a relationship with you, the real you, not the perfectly coiffed, perfectly planned Martha we strive to be. The truth is God created me as I am with purpose, just as he has done with you. Only I can share my heart with God, because there is only one me. Only you can share with God from the depths of your heart, because there is only one you. In the words of the wise Dr. Seuss, “Today you are You, that is truer than true. There is no one alive who is Youer than You.” Ain’t it the truth? 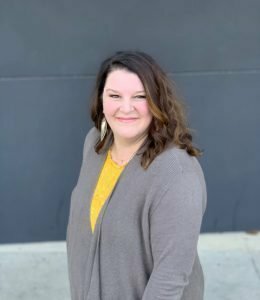 Catherine Bird is an author, speaker, Bible teacher, and sometimes a reluctant homeschooling mama, who also loves being a wife and a mom and often struggles to find balance between them all. 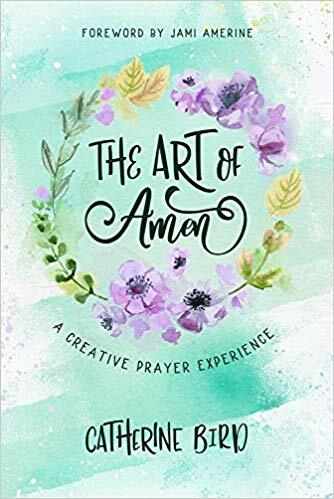 She is the author of The Art of Amen, Becoming a Girl of Grace: A Joint Bible Study for Tween Girls and Their Moms, Building Circles of Grace, and Preparing a Way: An Advent Devotional for Tween Girls and Their Moms. Catherine and her family currently live near Austin, Texas. When she is not at her desk writing, Catherine can often be found in yoga class, scoping out some fun new hiking destination with her family, or curled up in a comfy chair on her patio with her colored pencils. She also believes wholeheartedly in laughing until your belly hurts, Taco Tuesday, and Texas Aggie football. Life is sweeter with community, and friends are always welcome to pop by Catherine’s online home at catherinebird.net. Thank you, Cat! Such a treat to host your lovely and kind soul, here. Prayer is not a have-to; it’s a get-to. It is simpler and more sacred than we realize. It’s not up to us to get it right or get it done. God is ready and able to help us in our weakness; our part is to ask him for help and to participate in the process. 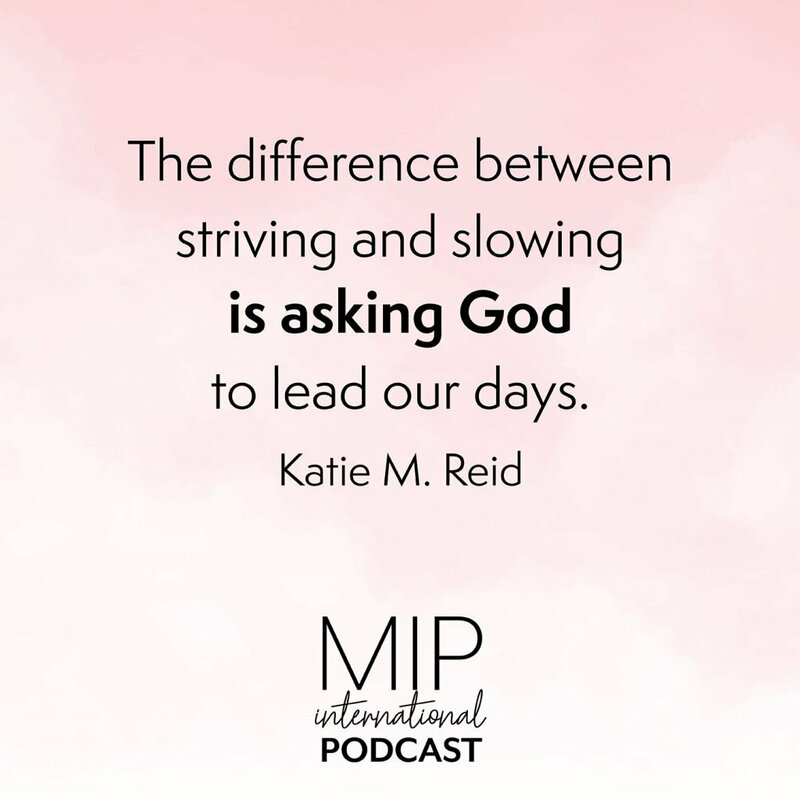 I put so much pressure on myself to perfect prayer that I miss the beauty of it: an open conversation with my Lord and free access to the One who sits on the throne and resides in the home of my heart.” -Katie M. Reid, from pg. 81 of The Art of Amen. Speaking of prayer, my friend, and Moms in Prayer podcast host, Lee Nienhuis, interviewed me for their show. We talk about when prayer is hard (do you see a theme? ), God’s love for those of us who relate to Martha from the Bible, the importance of Mary-mentors, and much more. As a special treat, Lee included me singing the Daughter song on the podcast too.